CHARLES GATES SHELDON was a prolific and talented American illustrator whose ‘pretty woman’ stylised portraits in chalk pastels were much in demand in the 1920s and 30s. His work, so the critics say, was initially distinctly Art Nouveau with a mix of Edwardian influences, though much of his later work was heavily influenced by the art deco movement. And judging by the number of his illustrations still to this day to be found all over the internet, he must have produced a staggering body of work during his lifetime. A search on Pinterest, for instance, will reveal hundreds of examples of his illustrations, magazine covers, advertisements and photographs. He began drawing as a child and a rare talent quickly developed, allowing him to contribute artwork to his high school year book. 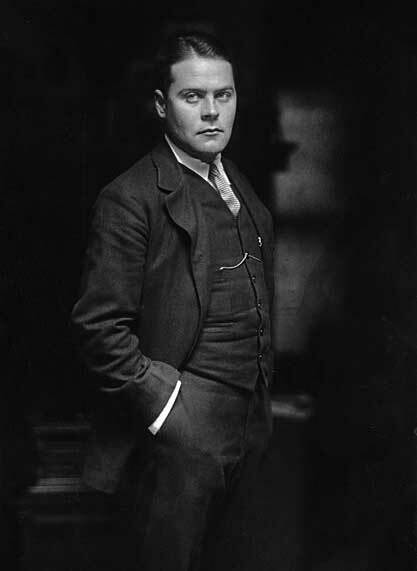 He moved on to study at the Art Students League and then on to Paris to study under the legendary poster artist, Alphonse Mucha, probably best-known for his Sandra Bernhard theatre posters. On his return stateside, he set up a studio in Carnegie Hall, New York, and received his first commission, for a series of advertisements for La Vogue lingerie, in 1918. He already had a body of work under his belt from freelance activity carried out alongside his art studies, mainly hat, glove and fashion artwork for Ladies Home Journal. In addition to his artwork, he had a talent for photography, developing a distinctive pin-up style for his fashion work. Other commissions soon followed, notably for the Fox Shoe Company, and creating advertising for clients such as Fiberloid plastic hairbrushes and Gainsbourough Hair Net, which involved producing portraits of famous Ziegfeld Follies stars. By 1921 he was contributing high fashion portraits to Womans Home Companion and Theatre magazines and it wasn’t long before famous women from all over the world were sitting for portraits at his New York studio. 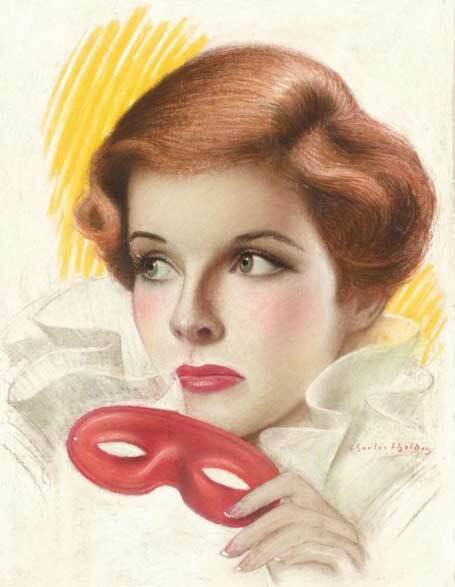 By 1924 his services were increasingly in demand in the lucrative market for magazine covers. He created cover art for the Christmas issue of the big-selling national weekly Collier’s in 1924 and a Halloween issue cover for the world’s first million-copies-a-week magazine, The Saturday Evening Post, in 1925. But Sheldon’s career was about to take another slight detour – one that would bring him lasting fame and fortune – to specialise in movie star portraits, initially for the cover of Photoplay movie magazine, now the weekly US celebrity and entertainment magazine, but eventually movie magazines the world over. Pretty soon all the big movie stars wanted their portraits done by Sheldon, not least because it hugely increased their chances of a cover slot on one of the many influential Hollywood-focused magazines. Between 1925 and 1930 stars would sit three or four times for each portrait. But the advent of talking pictures and the requirement to ‘learn the lines’ made greater demands on their time and most of Sheldon’s portraits during the 1930s were created from black and white studio publicity shots, which were distributed in large numbers to the movie magazines. Sheldon moved to Screenland movie magazine in 1929 and also contributed to many others such as The New Movie, Motion Picture, and Movie Classic. But a new knight in shining armour came riding to the rescue in the form of a shampoo manufacturer in Sheldon’s own back yard, the town of Springfield. 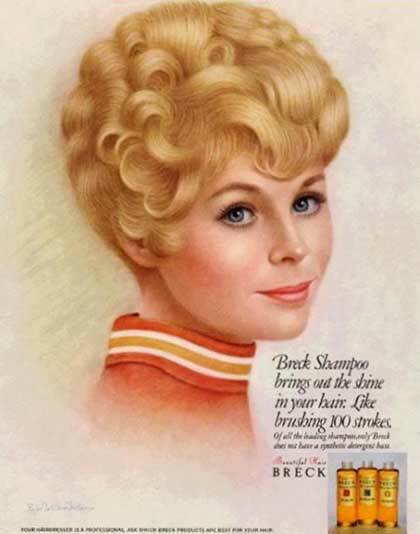 Breck Shampoo, under the new management of Edward J Breck, son of the founder of the company and developer of the Breck formula, Dr John H Breck, wanted to start advertising the shampoo in a big way and hit upon the idea of using home-town artist Sheldon’s delicate, dreamy, pastel portraits to headline the campaign. Sheldon’s chalk pastel portraits soon became the hallmark of the product. His dreamy, romantic images of beauty and purity defined the Breck image for nigh on 20 years, right up until Sheldon’s retirement in 1957. Sheldon always preferred to use ‘real wome’; as opposed to professional models, for his Breck portraits and he is believed to have created some 109 portraits for the company by the time he put down his pen for the last time. Sheldon died in 1961, still living in Springfield, where he had devoted much of his spare time to his passion for gardening. He was survived by his only son. One of Charles Sheldon’s Breck girls advertisement. Sadly, his house was demolished in 1978 but in the course of the work a hidden room was discovered, full of artwork by contemporary illustrators. The Breck Girls continued to be painted by Ralph William Williams for another 20 year, until his death in 1976, after which the girls were retired. Sheldon’s tinsel-town illustrations remain hugely popular among collectors, with auction values usually starting in the four-figure range. His chalk pastels are particularly sought after, with valuations of $3,000 upwards commonplace. The same site has a 1925 Saturday Evening Post ‘Lady with Puppet’ oil-on-canvas cover image listed at over $70,000. Another example of his work, a 16×17-inch charcoal illustration created as a design to advertise Pyrene fire extinguishers, is on sale through Amazon at $2,700, while elsewhere a 13.5×10-inch pastel-on-paper illustration of a female aviator, thought to have been commissioned for Parent magazine, is on sale at 3,500. All the available biographical information about Charles – and there’s not a lot of it – reports that he was born in 1894 in Worcester, Massachusetts. However, on checking birth records, it appears he was born much earlier, on 26 August 1882 in fact. The Worcester birth register records his parents as “V and Annette E Bannon”. His father’s occupation is given as butcher and his place of birth as Nelson, New Hampshire. Further digging revealed that father was Valentine Sheldon, born in Nelson in 1849, who married Annette Bannon in Springfield on 26 December 1877. Though born in Worcester, he spent most of his life some 40 miles away in the city of Springfield, Massachusetts. These facts are confirmed in his World War One draft card, which shows him living at 817 Sumner Avenue, Springfield, to this day an elegant tree-lined boulevard of fashionable family homes. The draft card further shows Charles as a self-employed illustrator, married to Grace Louise. The card further describes him as being of medium height and build, with brown eyes and hair. A World War Two registration card shows him still living at the same address, which is also listed as his business address. By then he was describing his work as “advertising”. Charles married Grace Louise Marchesault in Springfield on 12 November 1907. A son, Richard, was born in 1909.